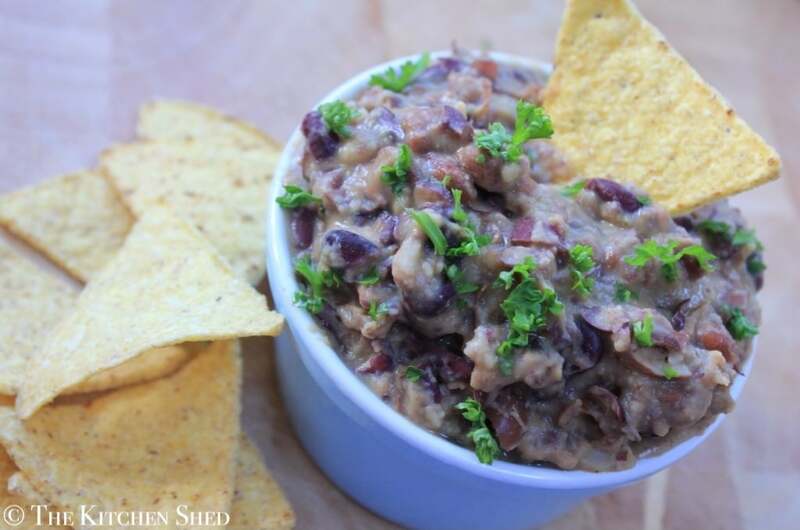 Refried beans are so easy and inexpensive to make. They taste great in Mexican wraps or can be used as a dip for some clean corn chips along with some Clean Eating Guacamole. Sometimes I make up a batch to put on top of a jacket potato or to use as a base on a Mexican pizza. Beans are a great source of protein, vitamins, minerals and fibre. They make a great meat substitute in many dishes, like my Clean Eating 3 Bean Chilli. 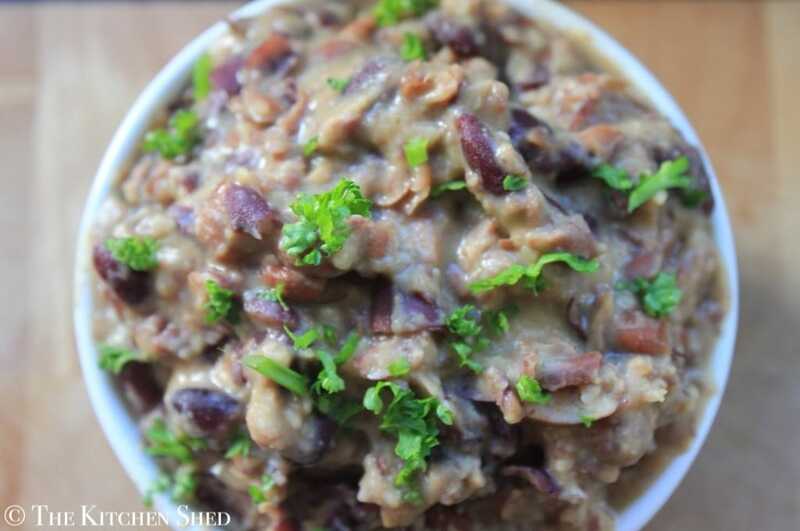 These Clean Eating Refried Beans are pretty mild, but feel free to add some extra seasonings to spice them up a little bit! What meat free recipes do you make with beans? 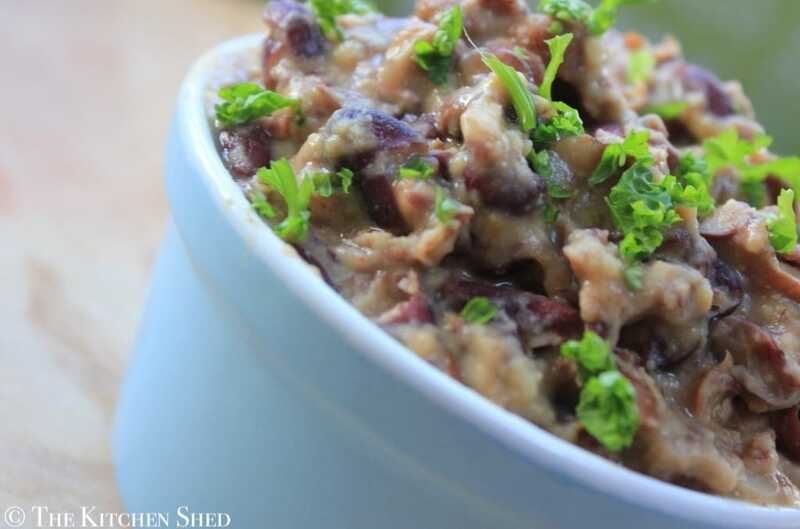 These Clean Eating Refried Beans are pretty mild, but feel free to add some extra seasonings to spice them up a little bit. Drain and rinse the beans and place them in a saucepan or frying pan. Using a masher of some sorts (potato masher or egg masher) roughly mash the beans until they are mostly all broken up. Pour the water into the saucepan with the beans and turn on the heat to high. Once the bean and water mixture begins to bubble a little, turn down the heat to low and add all of the other ingredients. Give the whole thing a good stir and let it cook on low for about 5 minutes, until thickened. Serve straight away or cool and keep in the fridge for up to two days.